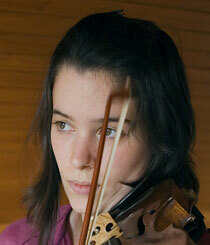 Born in 1989 in Portugal, Joana started playing the violin at the age of 4. She studied at the Conservatoire of Music in Aveiro with Ana Sofia Mota until she finished her school education. During the final two years, she also studied the viola with Hugo Diogo. 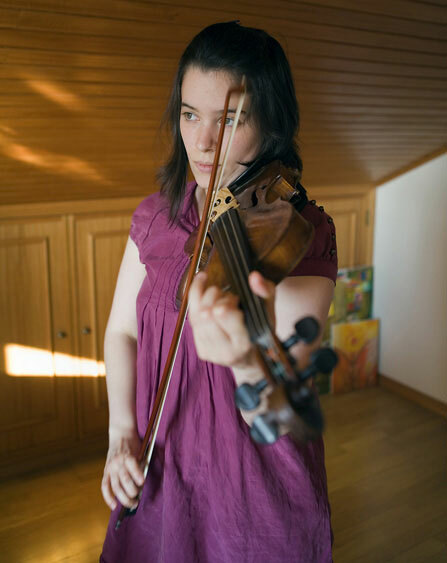 In 2007 she was awarded a place at the Academia Nacional Superior de Orquestra in Lisbon, where she continued her violin studies with Anibal Lima. She also had chamber music coaching with Alexei Eremine and Paul Wakabayashi. After 3 years she finished her Undergraduate course there and continued her studies at the Royal College of Music, London, with Radu Blidar for her Masters Degree, which she completed in 2013. During this time, she attended numerous festivals such as Harmus festival, Stift international festival and Aurora chamber music. She also participated in Masterclasses for solo and chamber music, given by distinguished Professors including Gordan Nikolic, David Fruhwirth, Patrik Judt, Max Rabinowitsj, Daniel Rowland, Leonid Kerbel, Zoltan Santa and the Chilingirian Quartet. Joana has been a member of several orchestras including Gustav Mahler Jugendorchester, Orpheus Sinfonia and Orquestra Metropolitana de Lisboa, and worked with many International conductors, including Bernard Haitink, Martin André, Herbert Bloomsted, Roger Norrington, Antonio Pappano and Michael Zilm. Joana is currently freelancing in London and studying with Radu Blidar as a Gulbenkian Foundation scholar.